Should we buy Turkey for Thanksgiving? Back in June the AKP failed to achieve a majority in this year’s first general election. Second time around they achieved a resounding victory – though not the “supermajority” required for constitutional reform. The main reason for the loss of confidence earlier in the year was the state of the Turkish economy. Now the AKP has an opportunity to embark on economic reform – this may be easier said than done. They need to deal with rising unemployment which, having dipped to 9.3% in May, is on the rise again – August 10.1%. Labour participation has been steadily rising – from 43.6 in 2006 to 51.2 today, however it is still low by international standards and female participation is a rather dismal 29%. Youth unemployment has fallen from 28% in 2009 to 18.3% in August, but this does not bode well for their relatively young nation. Of the 77mln population, 67% are notionally working age – 15 to 64. Only 6% are over 64 years. Turks make up 75% of the population whilst Kurds already account for 18%; as this 2012 article from the IB Times – A Kurdish Majority In Turkey Within One Generation? makes clear, substantial cultural challenges lie ahead. High unemployment has impacted consumer confidence which plunged to 58.52 in September – its lowest level since the global recession of 2009. October saw a rebound to 62.78. Turkey is a big energy importer – for a more detailed discussion on energy security for Turkey (and the EU) this working paper from Bruegel – Designing a new Eu-Turkey Gas Partnership is worth perusal. In March Morgan Stanley announced that India and Indonesia had made sufficient reforms to be removed from the “Fragile” category. Turkey remains, unreformed, especially in terms of its labour laws – a focal point if they are to reduce structural unemployment. Turkey has demographic trends on its side but its productivity has been stagnant since the financial crisis. The OECD estimated GDP per hour for 2014 at 29.3 hours – in 2007 it was 28.9 hours. From a technical perspective bond yields appear to have backed away from the 2014 highs, but considered in conjunction with the continued trend of the TRY, I lack the confidence to buy ahead of real economic reform package. Meanwhile, the US Federal Reserve look set to raise interest rates next month, putting further downward pressure on the TRY and driving short-term US$ financing costs higher. The market valuation is relatively undemanding. A CAPE of 10.3 is higher than its emerging European neighbours, but on a straight PE basis (11 times) and dividend yield (3.4%) it is comparable. On a price to cost, price to book or price to sales basis, however, it is more expensive than Emerging Europe. Whilst the economy is 25% Agriculture, 26% Industry and 49% Services, the stock market is dominated by banks. At the end of 2013 the weights for the XU100 were 36% Banks, 17% Beverages and 8% Conglomerates – although the fragmented (30 companies) cement industry should be mentioned. It is the largest in Europe and fifth largest globally. Rising bond yields, even though they have fallen since the election, and the weakness of the TRY increase the risk of bank losses. Technically, one should remain long, but I’m not inclined to add aggressively at this stage. The EU’s inability to act on concert to address the migrant crisis, along with the imminent collapse of the Schengen Agreement, is likely to further strain relations. It may not stop existing trade but it is likely to slow new business developments. …Turkey now confronts simultaneous conflicts with the PKK and the Islamic State. After a year of intensive American diplomacy, Ankara’s decision last July to provide the United States and coalition forces access to air bases close to the Islamic State’s territory has made Turkey a target. On a more positive note. The new government is likely to make good on its election promises by increasing fiscal stimulus. That 33% debt to GDP ratio must be burning a hole in Erdogan’s pocket. Stimulus is expected to be directed at infrastructure – the “three R’s”, roads, railways and real-estate. “Grand projects” include a third Airport and a mountaintop mosque for Istanbul, a third bridge and a tunnel across the Bosporus, a canal linking the Black Sea to the Sea of Marmara and a gigantic presidential palace in Ankara. 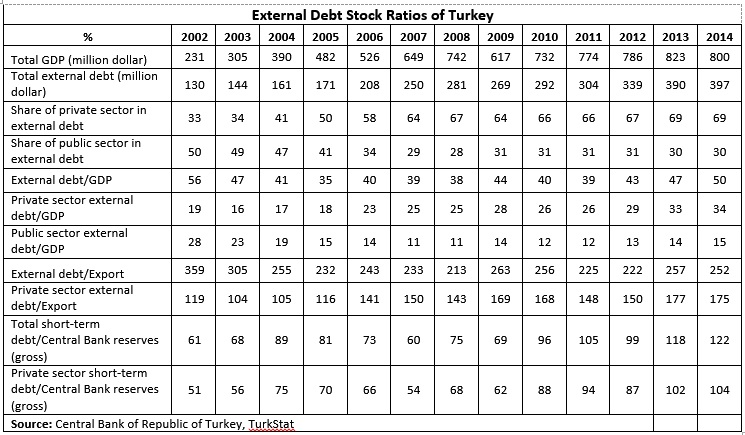 On balance I think it is too soon to buy Turkish bonds or stocks. The new government seems reluctant to embrace the economic reforms needed to drive productivity growth. External debt will have to be repaid, inflation, subdued and jobs created. Turkish stocks look relatively inexpensive and her bonds may be tempting to the carry trader, but an appreciating TRY is key – should the currency recover, stocks and bonds will follow.